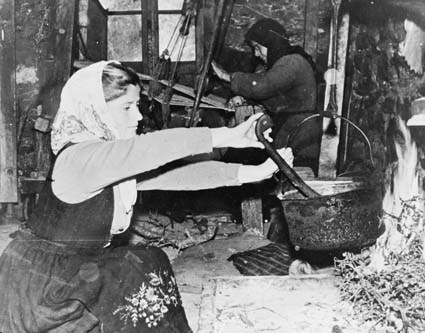 By the 1960s the Australian government began to address the growing gender imbalance by actively recruiting single Greek women to come to Australia to work as domestics. Vassiliki, who applied to migrate to Australia in June 1960, was a perfect candidate for such a campaign. Described as ‘small, pretty, and blue-eyed’ by immigration publicity officers, she was photographed in her home in Epiros, Greece and depicted as a poverty-stricken housekeeper with only primitive cooking amenities. She was later photographed in Sydney enjoying all the modern conveniences Australia had to offer a domestic worker, including cooking on a gas stove. 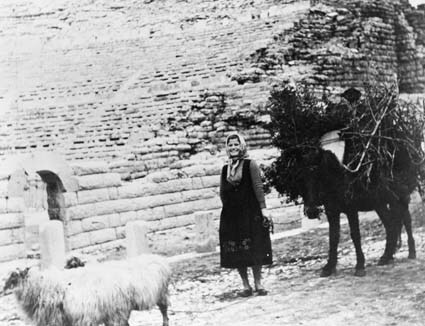 Like other assisted migrants, Vassiliki was required to undertake two years’ employment service in return for her assisted passage. According to the publicity campaign, Vassiliki was placed in a job as a domestic at a Sydney hospital and boarded with a Greek family.